Bearsden is a town in East Dunbartonshire, Scotland, on the northwestern fringe of Greater Glasgow. Approximately 6 miles (10 km) from Glasgow City Centre, the town is effectively a suburb, and its housing development coincided with the 1863 introduction of a railway line. The town was named after Bearsden railway station, which was named after a nearby cottage. The many-body problem is a general name for a vast category of physical problems pertaining to the properties of microscopic systems made of a large number of interacting particles. Microscopic here implies that quantum mechanics has to be used to provide an accurate description of the system. A large number can be anywhere from 3 to infinity, although three- and four-body systems can be treated by specific means and are thus sometimes separately classified as few-body systems. In such a quantum system, the repeated interactions between particles create quantum correlations, or entanglement. As a consequence, the wave function of the system is a complicated object holding a large amount of information, which usually makes exact or analytical calculations impractical or even impossible. 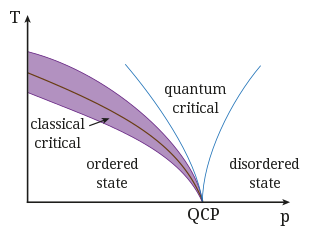 Thus, many-body theoretical physics most often relies on a set of approximations specific to the problem at hand, and ranks among the most computationally intensive fields of science. The moment of inertia, otherwise known as the angular mass or rotational inertia, of a rigid body is a quantity that determines the torque needed for a desired angular acceleration about a rotational axis; similar to how mass determines the force needed for a desired acceleration. It depends on the body's mass distribution and the axis chosen, with larger moments requiring more torque to change the body's rotation rate. It is an extensive (additive) property: for a point mass the moment of inertia is just the mass times the square of the perpendicular distance to the rotation axis. The moment of inertia of a rigid composite system is the sum of the moments of inertia of its component subsystems. Its simplest definition is the second moment of mass with respect to distance from an axis. For bodies constrained to rotate in a plane, only their moment of inertia about an axis perpendicular to the plane, a scalar value, matters. For bodies free to rotate in three dimensions, their moments can be described by a symmetric 3 × 3 matrix, with a set of mutually perpendicular principal axes for which this matrix is diagonal and torques around the axes act independently of each other. John Michael Kosterlitz is a Scottish born British-American physicist. He is a professor of physics at Brown University and the son of biochemist Hans Kosterlitz. He was awarded the 2016 Nobel Prize in physics along with David Thouless and Duncan Haldane for work on condensed matter physics. The Dirac Medal is the name of four awards in the field of theoretical physics, computational chemistry, and mathematics, awarded by different organizations, named in honour of Professor Paul Dirac, one of the great theoretical physicists of the 20th century. Bertram Neville Brockhouse, was a Canadian physicist. He was awarded the Nobel Prize in Physics "for pioneering contributions to the development of neutron scattering techniques for studies of condensed matter", in particular "for the development of neutron spectroscopy". Ernest Thomas Sinton Walton was an Irish physicist and Nobel laureate for his work with John Cockcroft with "atom-smashing" experiments done at Cambridge University in the early 1930s, and so became the first person in history to split the atom. The Berezinskii–Kosterlitz–Thouless transition is a phase transition in the two-dimensional (2-D) XY model. It is a transition from bound vortex-antivortex pairs at low temperatures to unpaired vortices and anti-vortices at some critical temperature. The transition is named for condensed matter physicists Vadim Berezinskii, John M. Kosterlitz and David J. Thouless. BKT transitions can be found in several 2-D systems in condensed matter physics that are approximated by the XY model, including Josephson junction arrays and thin disordered superconducting granular films. More recently, the term has been applied by the 2-D superconductor insulator transition community to the pinning of Cooper pairs in the insulating regime, due to similarities with the original vortex BKT transition. Hans Walter Kosterlitz FRS was a German Jewish British biologist..
Peter Samuel Dayan is director at the Max Planck Institute for Biological Cybernetics in Tübingen, Germany. He is co-author of Theoretical Neuroscience, a textbook on Computational neuroscience. He is known for applying Bayesian methods from machine learning and artificial intelligence to understand neural function and is particularly recognized for relating neurotransmitter levels to prediction errors and Bayesian uncertainties. He co-authored an influential scientific article on Q-learning with Chris Watkins, and provided a proof of convergence of TD(λ) for arbitrary λ. The James Clerk Maxwell Medal and Prize is awarded annually by the Institute of Physics to recognize outstanding early-career contributions to theoretical physics. 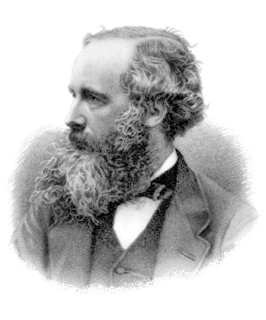 Named after James Clerk Maxwell, the medal is made of bronze and accompanied by a prize of £1000. Lakshminarayanan Mahadevan FRS is a scientist of Indian origin, and is currently the Lola England de Valpine Professor of Applied Mathematics, Organismic and Evolutionary Biology and Physics at Harvard University. His work centers around understanding the organization of matter in space and time, i.e. how it is shaped and how it flows, particularly at the scale observable by the unaided senses, in both physical and biological systems. Thomas C. Spencer is an American mathematical physicist, known in particular for important contributions to constructive quantum field theory, statistical mechanics, and spectral theory of random operators. He earned his doctorate in 1972 from New York University with a dissertation entitled Perturbation of the Po2 Quantum Field Hamiltonian written under the direction of James Glimm. Since 1986, he has been professor of mathematics at the Institute for Advanced Study. 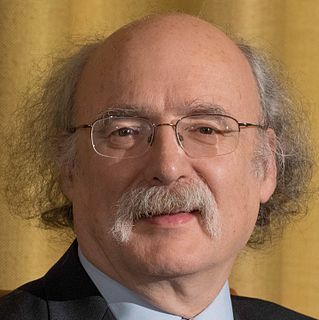 He is a member of the United States National Academy of Sciences, and the recipient of the Dannie Heineman Prize for Mathematical Physics. Frederick Duncan Michael Haldane, known as F. Duncan Haldane, is a British born physicist who is currently the Sherman Fairchild University Professor of Physics at Princeton University, and a Distinguished Visiting Research Chair at Perimeter Institute for Theoretical Physics. He is a co-recipient of the 2016 Nobel Prize in Physics, along with David J. Thouless and John Michael Kosterlitz. Ali Alavi FRS is a professor of theoretical chemistry in the Department of Chemistry at the University of Cambridge and a Director of the Max Planck Institute for Solid State Research in Stuttgart. Vadim L'vovich Berezinskii was a Soviet physicist. He was born in Kiev, graduated from Moscow State University in 1959, and worked in Moscow and the Landau Institute for Theoretical Physics. He is famous for having identified the role played by topological defects in the low-temperature phase of two-dimensional systems with a continuous symmetry. His work led to the discovery of the Berezinskii–Kosterlitz–Thouless transition, for which John M. Kosterlitz and David J. Thouless were awarded the Nobel Prize in 2016. He also developed a technique for treating electrons in one-dimensional disordered systems and provided first consistent proof of one-dimensional localization. and predicted negative-gap superconductivity. 1 2 3 4 5 Anon (2016). "BBC Radio 4 profile: Professor David J Thouless". London: BBC. 1 2 "Professor David Thouless 1934–2019". Trinity Hall, Cambridge. 6 April 2019. Retrieved 8 April 2019. ↑ "The international who's who 1991–92". Europa Publ. 25 July 1991 – via Google Books. ↑ Thouless, David James (1958). The application of perturbation methods to the theory of nuclear matter (PhD thesis). Cornell University. OCLC 745509629. ↑ Lee, Sabine (8 April 2011). "From Nuclei to Stars: Festschrift in Honor of Gerald E. Brown". World Scientific – via Google Books. 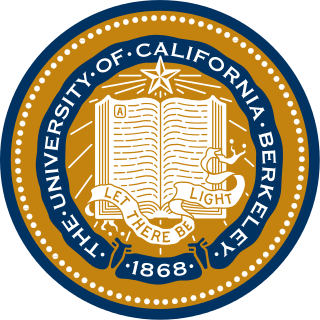 ↑ "UW Professor Emeritus David J. Thouless wins Nobel Prize in physics for exploring exotic states of matter | UW Today". www.washington.edu. Retrieved 7 April 2017. 1 2 "David Thouless". aip.org. Archived from the original on 5 October 2016. Retrieved 10 October 2016. 1 2 "Two former Birmingham scientists awarded Nobel Prize for Physics". University of Birmingham. 4 October 2016. Retrieved 4 October 2016. 1 2 "The Nobel Prize in Physics 2016". NobelPrize.org. 1 2 3 Gibney, Elizabeth; Castelvecchi, Davide (2016). "Physics of 2D exotic matter wins Nobel: British-born theorists recognized for work on topological phases". Nature. London: Springer Nature. 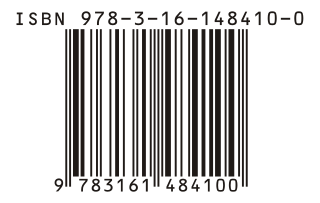 538 (7623): 18–18. Bibcode:2016Natur.538...18G. doi:10.1038/nature.2016.20722. 1 2 3 4 5 6 "David J. Thouless Facts". Nobel Prize.org. Retrieved 8 April 2019. ↑ "David Thouless". National Academy of Sciences Online. Retrieved 9 October 2016. ↑ "2018 Stanley Corrsin Award Recipient". www.aps.org. ↑ "David J. Thouless − Facts". Nobel Media AB 2014. Retrieved 9 October 2016. ↑ Knapton, Sarah. "British scientists win Nobel prize in physics for work so baffling it had to be described using bagels". The Daily Telegraph. Retrieved 24 September 2017.